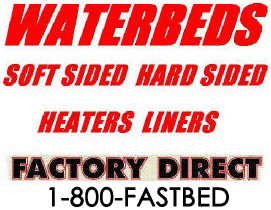 Call 1-800FASTBED for the best waterbed carrier for 39 years. For over 25 years Boyd waterbeds have been the leader in the Waterbed industry. 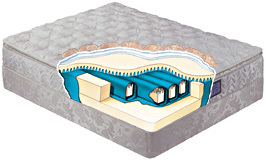 They have developed more types of Waterbeds than any other manufacturer and have been awarded numerous patents to back up our unique designs and features. 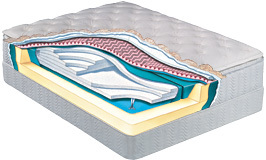 All our Waterbed mattresses are constructed of the highest quality virgin vinyl. 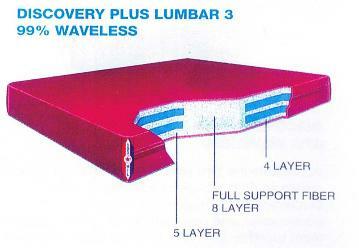 Hydraulic and/or fibre baffling systems produce mattresses with semi-waveless or waveless support. Whether you desire the full motion of a free flow mattress or the gentle comfort of a wave reducing fiber filled water mattress, you can count on BOYD to have the mattress that is perfect for you. For over 25 years we have been the leader in the Waterbed industry. 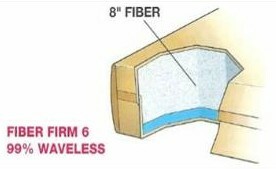 1 to 5 layers of fiber provide varying degrees of wave reduction. A 4-point Memory Stretch tether system keeps the fiber layers from shifting. 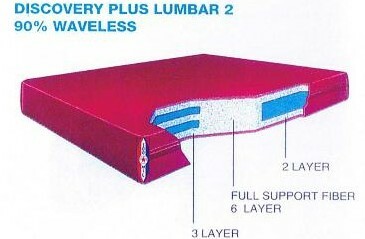 Additional Lumbar Fiber Layers provide additional ergonomic support in the area where you need it most! 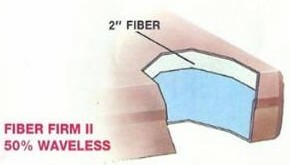 A fully connected 42 chamber wave reduction system provides additional stabilization to the fiber layers. Why not eliminate those annoying pressure points that cause you to toss and turn all night. Wouldn't you prefer peaceful, uninterrupted sleep for a change? Boyd Specialty Sleep is your Specialty Sleep Leader. Our premium product line features air beds, fluid suspension softside mattresses, waterbeds, and all of our fluid suspension mattresses are adjustable! 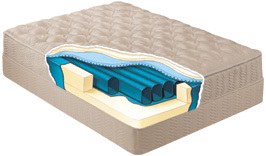 Whatever type of mattress you choose, from foam filled tubes (pictured above) to dual tri-zone lumbar polyester, you can simply increase or decrease the water level until you achieve the comfort level that is just right for you. Please feel free to contact us if you have questions about our products or if you are looking for something specific. 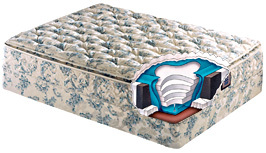 DISCOUNT WATERBEDS are available in a variety of different styles. Some hardside waterbeds feature padded sides, upholstered pedestals, padded headboards or removable padded rails. 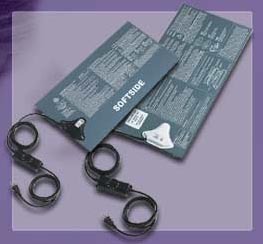 Waterbeds are also available in hybrid or softside styles. They have material exteriors, which come in a variety of zippered pillowtop and non pillowtop models, a high density foam interior, liner, heater, bladder and boxspring.